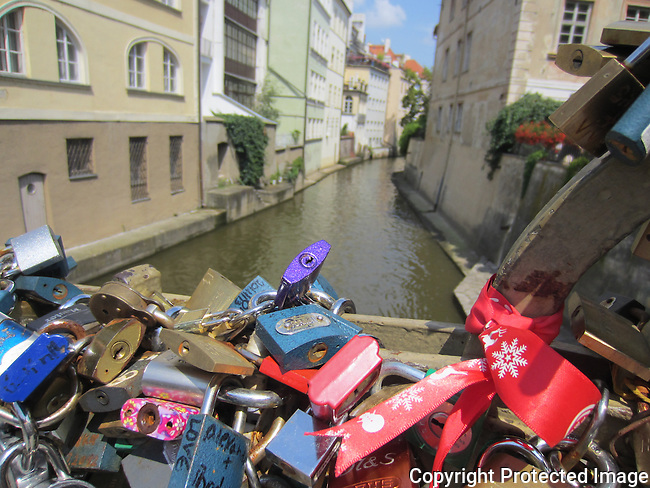 A symbol of love throughout Europe, Prague is no exception with the love locks along the canal near the Charles Bridge in Prague’s Mala Strana. The symbolism behind the locks is everlasting love. Lovers fix their locks on fences or gates, often throwing away the key in a romantic gesture of their love, locked together through time.